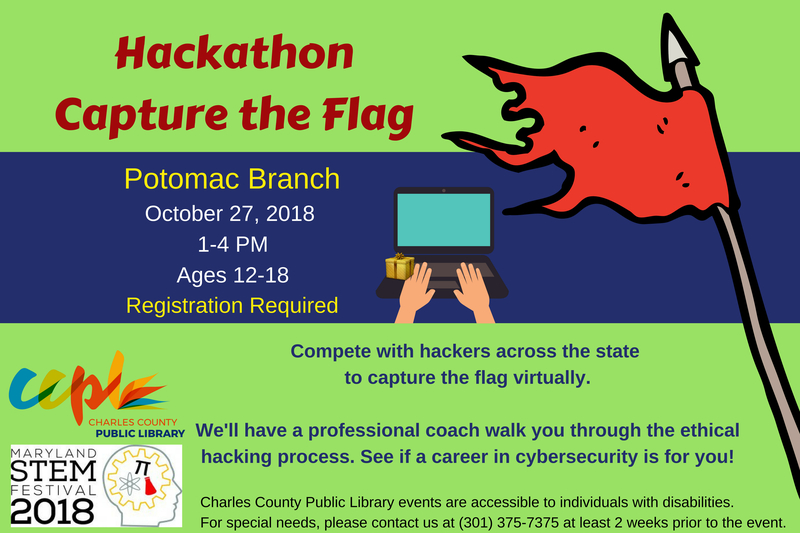 Compete with hackers across the state to capture the flag virtually. We'll have a professional coach walk you through the ethical hacking process. See if a career in cybersecurity is for you! Recommended for ages 12-18. We're sorry. The registration deadline was 10/26/2018 at 5:00 PM.